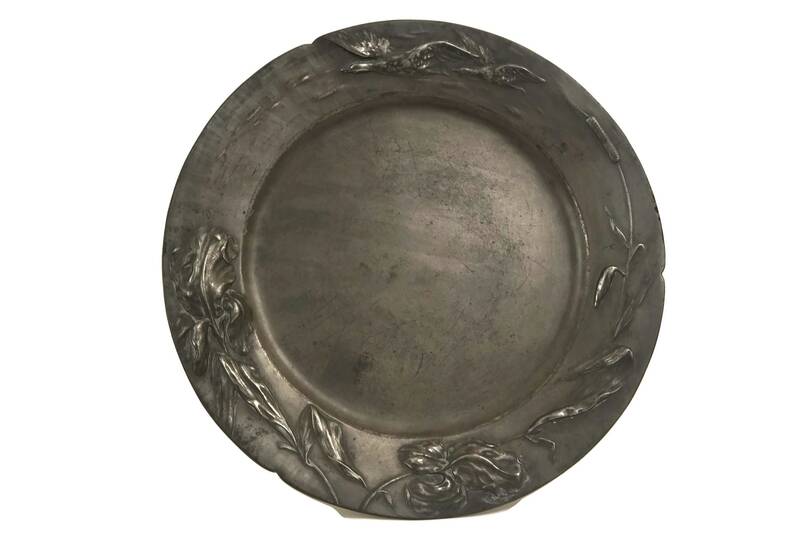 A beautiful antique pewter Art Nouveau charger plate dating to the turn of the last century. 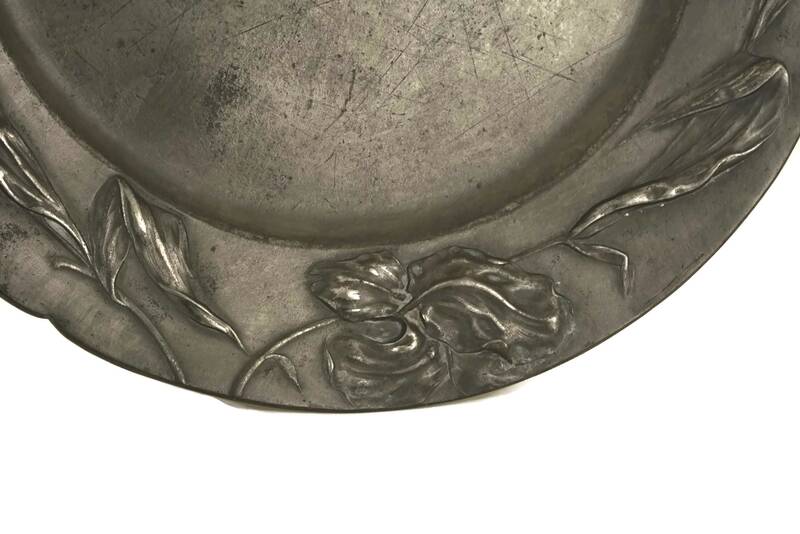 It was created by the renowned German pewter manufacturer Dautzenberg and has been decorated with flying duck motifs and magnificent iris flowers around the border. 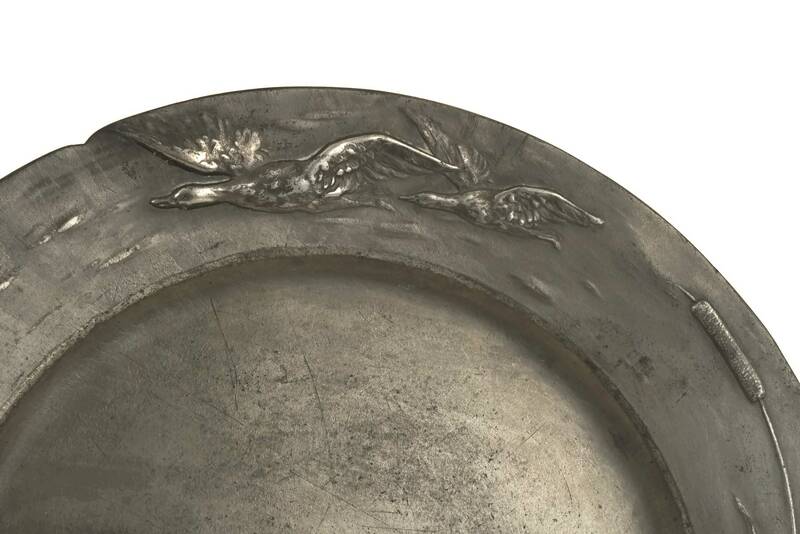 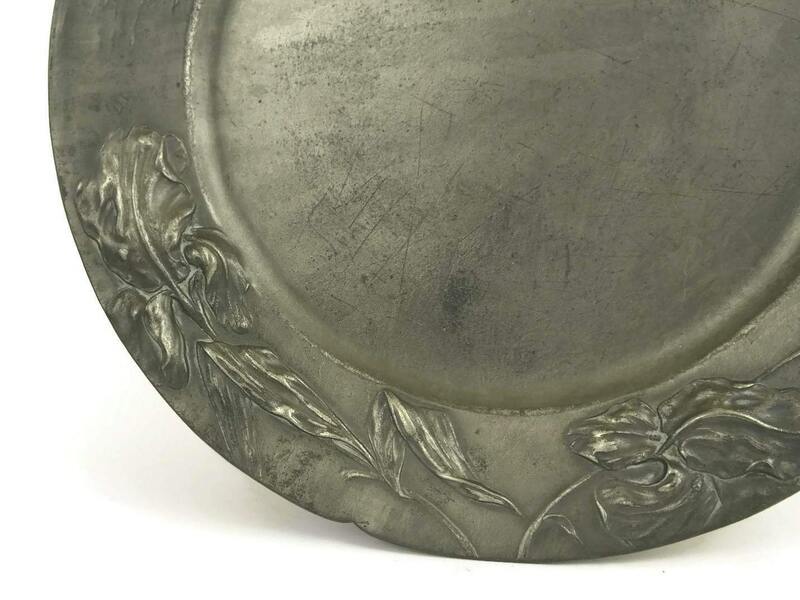 The underside of the Jugendstil dish has been stamped with the manufacturer's mark and reference number 152. 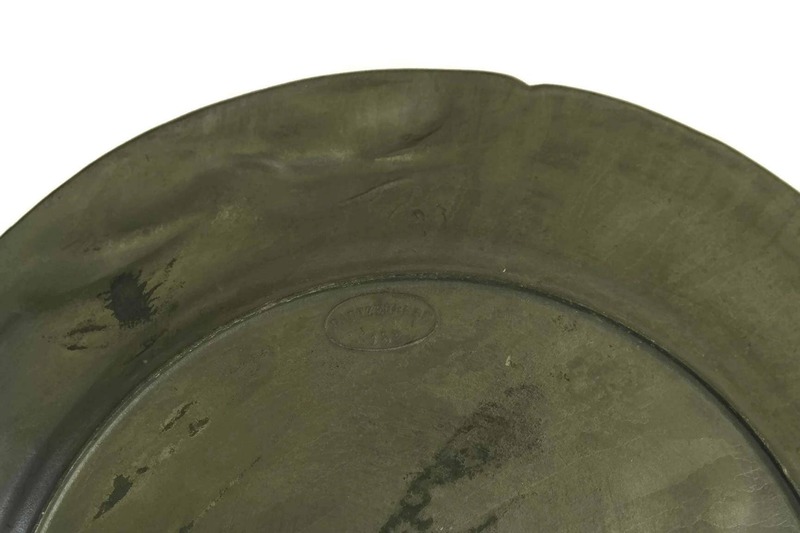 12" in diameter (30 cm). 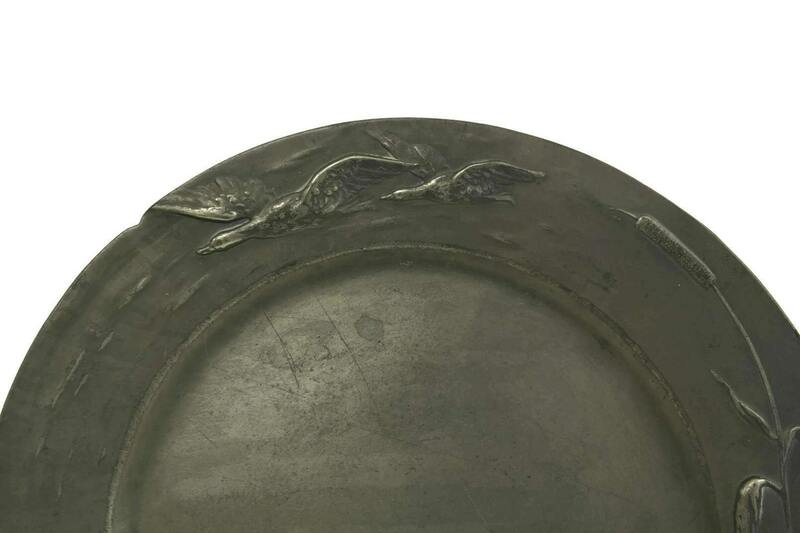 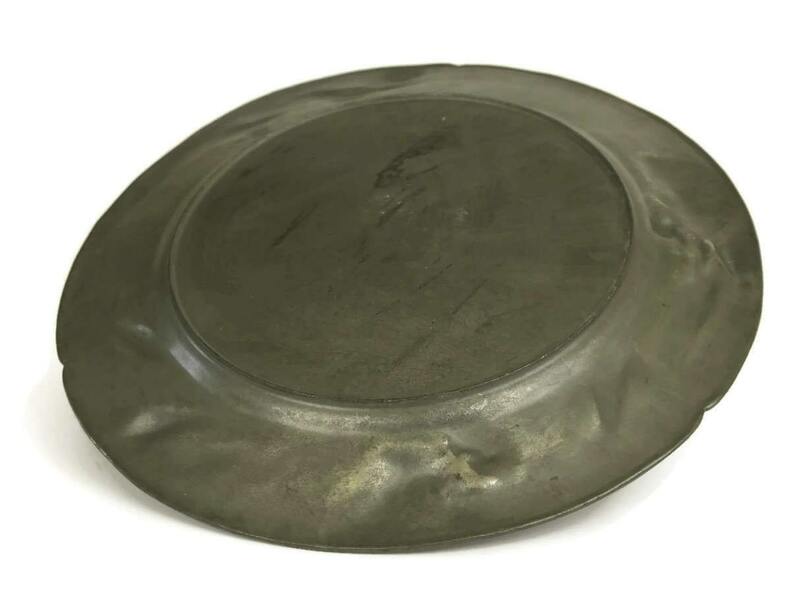 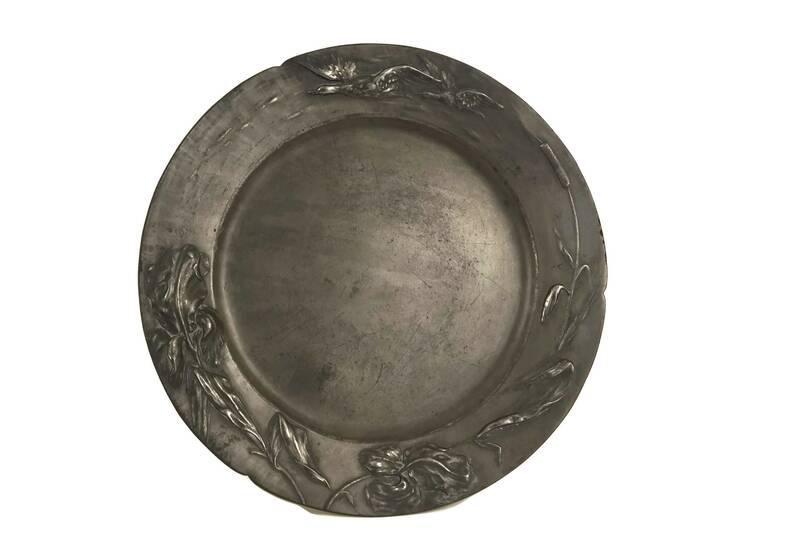 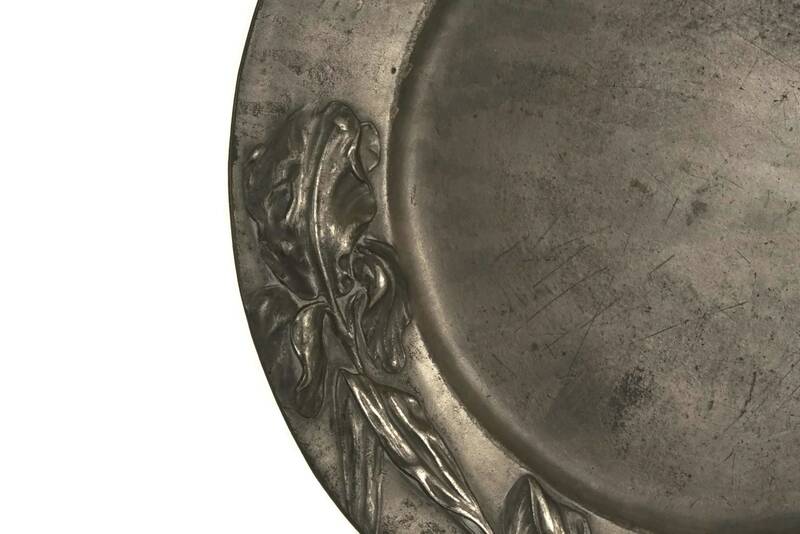 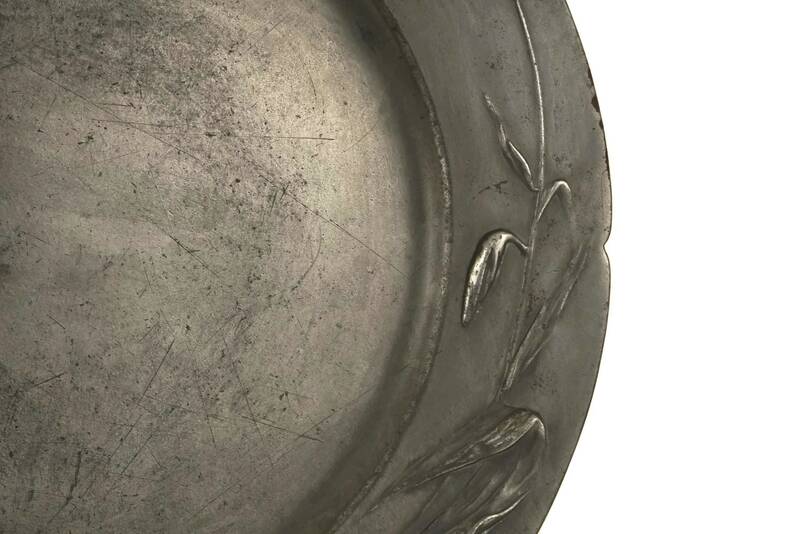 The pewter plate is in very good antique condition with a rich patina and light surface wear.